Youtube has updated their uploading guidelines after an accident earlier in January was caused by the Bird Box challenge. With so many Internet “challenges” in the past, it’s more than likely a new challenge will resurface again on social media. Perhaps, it’s time to challenge humanity’s common sense — as it appears to be lacking. It should be obvious that nobody should drive blindfolded. But this is not the first time someone injured themselves doing something stupid. These challenges, which grow with popularity over social media, have the potential to cause harm. 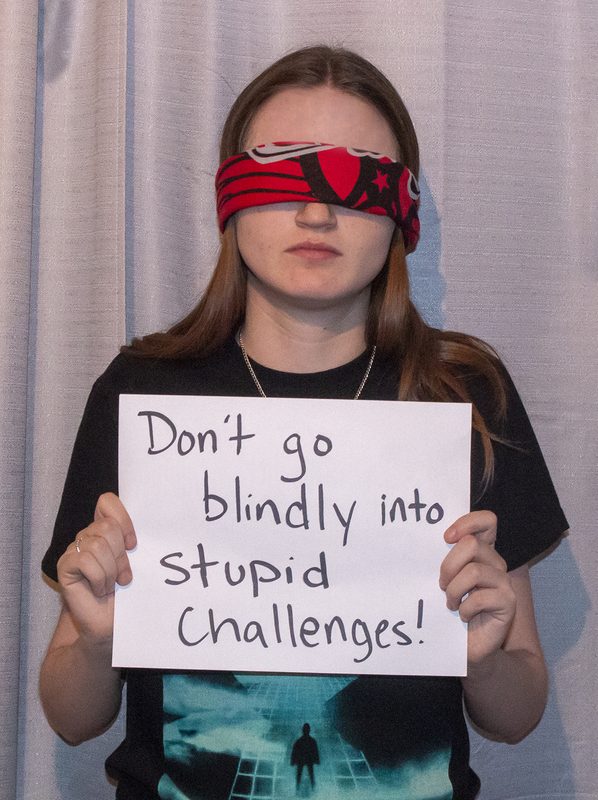 Although this scenario with the Bird Box challenge didn’t cause serious harm, it did cause a lot of damage. With this in mind, let’s not forget the other social media challenges that did cause harm. These challenges include the tide pod challenge, the fire challenge and the Kylie Jenner lip challenge. Instead of jumping off a bridge because a friend did, I suppose we’re all just doing the next stupid thing: eating laundry detergent, driving blind or breaking the blood vessels in our lips. With Youtube updating their guidelines and cracking down on potentially harmful challenges, people should really get the message. Maybe plastering “DO NOT TRY THIS AT HOME” on all Internet videos would help with the issue. Then again — probably not. Luckily, not all challenges which cause a social uproar are harmful. The (Amyotrophic lateral sclerosis) ALS ice bucket challenge is a good example. It had a good cause behind it: to raise awareness and donations for an illness — and it worked. Plus, nobody was severely hurt in the process. Even Jimmy Kimmel has more safe and funny challenges on his TV show: parents telling their kids they ate all their halloween candy or turning off their Fortnite game. Kids may have screamed or cried but nobody was physically hurt. On that note — let’s get common sense trending again. Challenge yourselves or your friends to think about possible outcomes or consequences before taking action. Decide if dousing your body in rubbing alcohol and setting yourself on fire is really worth the bragging rights. Either that — or let natural selection take its course.